“Wait a minute,” you're thinking. “Knuckles from Sonic the Hedgehog?” Yes, the one and only! And it turns out Knuckles is not a hedgehog himself, but actually an echidna. Yes, that's right! We wouldn't kid ya (see what we did there? Echnida, wouldn't kid ya? Yeah, you get it!). He's also not blue, but red, but he still collects rings, and he still fights Doctor Robotnik, at least when he's not being tricked by the evil madman. Yes, at long last Knuckles is getting his due with this incredible costume, which not only includes an awesome tail, but Knuckles' signature super cool dreads! 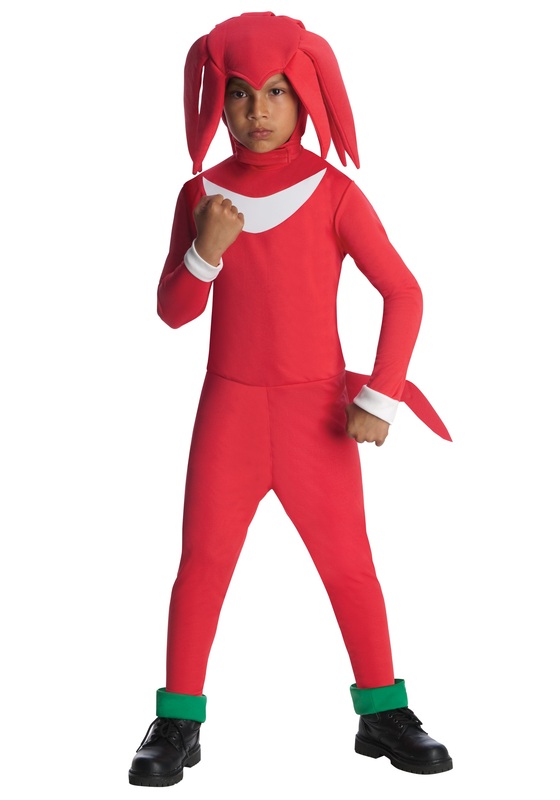 "Why would my kid want a Knuckles costume over a true blue Sonic the Hedgehog costume?" you're wondering. Sure, Knuckles isn't as fast as Sonic, but can Sonic climb walls? Can Sonic brawl with the best of them? Does Sonic have dreads? What kid is going to see their Knuckles costume and not immediately flip out over the amazing hair they get to wear in this costume? We can only imagine the day after Halloween you go to wake your child up: "Good morning, little Jimmy, time to get up!" and little Jimmy rolls over and gives you a hard stare. He's still wearing his Knuckles costume! Well, that's a little odd. "Jimmy, what's wrong?" you ask innocently. But in answer he only shows you his clenched fists. "It's not Jimmy," he says. "It's Knuckles! And I've got to get out there and find the Chaos Emeralds before Dr. Robotnik takes over the world!"